Why make it, when you can buy it? Good question, why should you make it when you can buy it? It's so much easier to run out and buy plant fertilizer, than make it. Easier to flag down the ice cream truck than to make your own treats. More convenient to go buy that KFC meal deal with the fried chicken, mashed potatoes and coleslaw. Why should you take the time for homemade cooking? Why should you make anything yourself, if you can buy it? I think there is a lot to be said for homemade living, it is a skill that many people have lost in the "instant gratification" world that we live in. This website and blog is a record of my journey to learn to be more self sufficient and stop relying on others for everything in my life. If you are interested in learning too....follow me! What do I write about in the Homemade by Jade Blog? ​I write about different things in my blog, but mostly you will find posts on learning how to make things yourself. 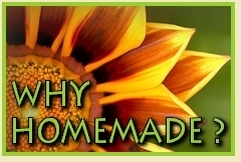 Homemade cooking, homemade clothing, homemade crafts and home grown food. It is surprising how little actually needs to be purchased ready made. You can make just about anything yourself, because before there were stores, that is how folks got things......they made them from scratch! I want to learn to be more self sufficient and self reliant and to live more simply. So in my blog you will find lots of homemade recipes, tips on growing your own food, fun craft projects and household tips. Your email address is not collected by Homemade by Jade. Feedburner is the service that collects the addresses and sends our posts to them. Your address is NEVER shared with anyone and is safe from spammers. A question you want to ask? What is a Homesteader? Are You a Homesteader? Click Here to Find Out! 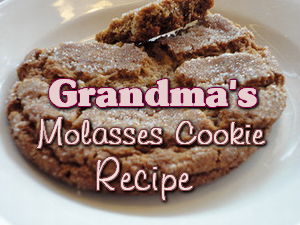 Check Out Our New Recipes Blog! Need a Graphic For a Post or Article Like the One Above? ​​Are you looking for a simple graphic for an article, blog post, website or social media site? I will make what you need for $5. Make a free account and sign in before you shop online. you will get cash back on your purchase. When your account reaches $5, Ebates sends you a check, it's just that easy. It does not cost you a thing and you get money back. You can't get better than that! I have made $140 on EBates since I have belonged! ​With only my husband and I living at home now, we were spending way too much money on food. I won't even tell you how much because it's embarrassing. I have been looking for an easy to use grocery/meal plan for at least six months. I tried some of the free ones that you see online, but they were usually either too simple and not much help, or too complicated and took too much time and effort for me to use. I have little patience for food plans that take hours every week and a degree in mathematics to implement. ​I recently saw an ad for an e book on how to not only save money on groceries, but also make a meal plan that would simplify shopping and cooking. This book promised a definite action plan on how to do all the things I have been trying to do myself for months! This really perked my interest, especially since they also offered 3 worksheets that outlined an easy way to make a plan specific to me and my situation. It sounded impressive, but how easy was it? Remember, I have a low tolerance for complicated, time consuming plans! I wanted something effective but also easy. Upon investigating further, I found out that this ebook also provides a quick start guide with a meal plan and budget already set up that can be used immediately to save money WHILE you are preparing your own personalized plan. So I took a chance and spent the $9, because I liked what I saw. I got the download right away and started reading. fI was shocked at how easy this plan was to implement, and how it helps you save money, right away. For once I made the right decision in buying a plan. I saved more money than this plan cost, my first trip to the grocery store. For once an ebook actually lived up to all its promises. Hallelujah! 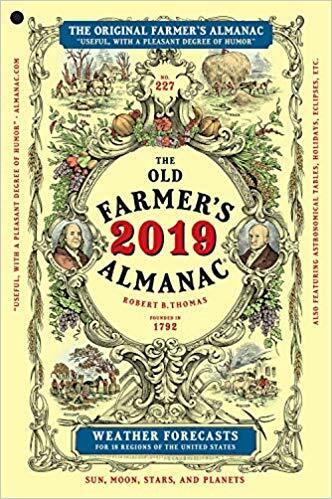 ​America's best loved and most trusted resource for just about everything, The Old Farmer's Almanac is packed full of useful, needed information on weather, planting, cooking and much more. In its 224rd year of continuous publication, this is one book you don't want to miss and all for less that $7.00. Another Old Farmer's favorite of mine is this awesome calendar. 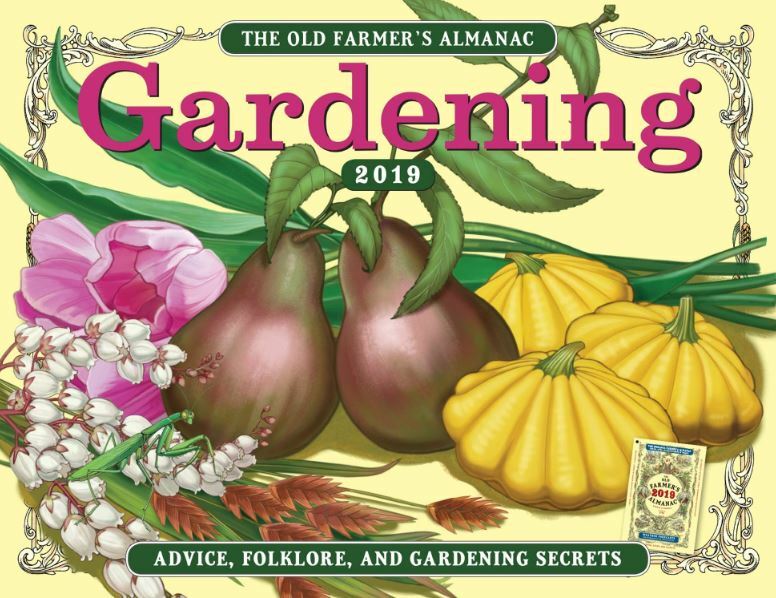 It offers beautiful full-color illustrations and timely gardening advice, fun facts, quotes, and garden lore. Special Bonus​:​ A "best days" table tells when to plant 36 vegetables and grains according to the Moon's phases and regional climate. Rustic log cabin decor offers the richness of nature in a relaxing atmosphere that is pure and beautiful You will find rustic cabin decor for every room in your home featured here. Whether you want to add a simple touch of rustic decor to your home, or you want an entire theme in this design style, you'll find everything you need for an awesome home or cabin.